Enter the enchanted world of Disney Princess Palace Pets! Disney Princesses have always loved animals. Now, just like the princesses, you can play, nurture, style, and love all of their pets—and in this charming storybook, you’ll be introduced to two of them! First, meet Treasure, the curious kitten who found a home with Ariel while adventuring on the high seas. 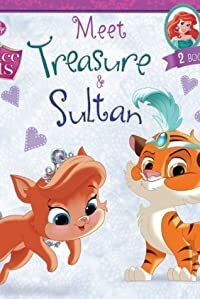 Then, meet Sultan, a brave little tiger who wishes for a home of his own to protect, and learn how his wish was granted…by Jasmine!